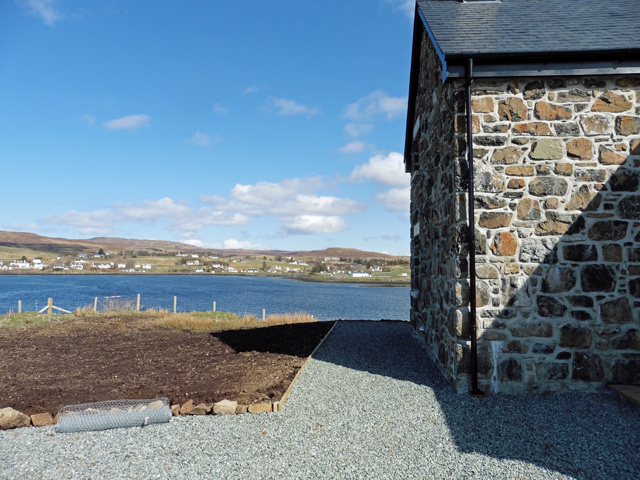 The Beach House at Garrachan is a rebuild from the ground up of an iconic property set on the shores of Loch Dunvegan that had fallen into disrepair. The original property was built around the 1900's. 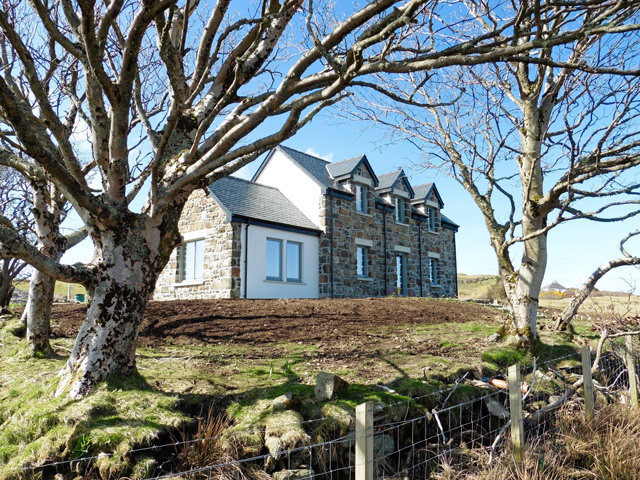 The Beach House at Garrachan is set in a secluded area with approximately half an acre of private and fenced off garden. The exterior of the main house is clad with the original stones of the old house giving the property a particular stately appearance. 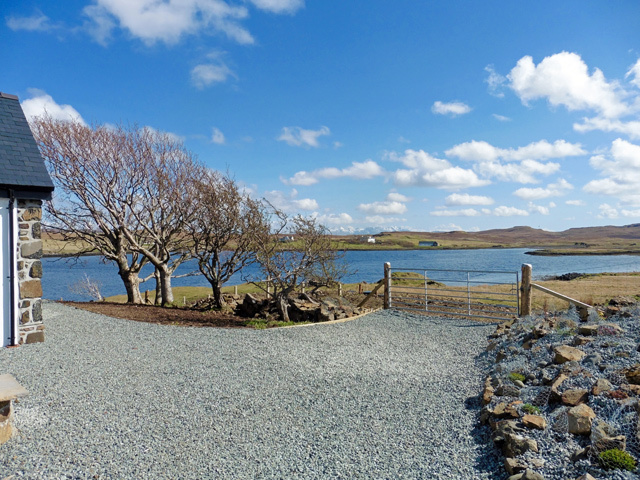 Towards the front is Loch Dunvegan with easy access to the shoreline, an ideal opportunity for venturing out in kayaks. 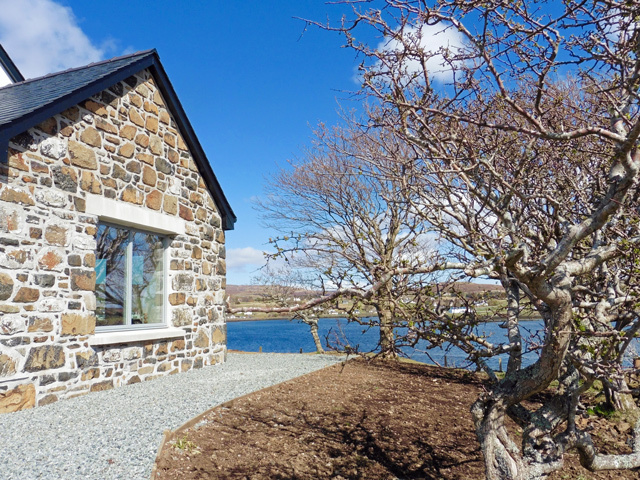 The property overlooks Dunvegan at the other side of the loch, the Cuillin mountain ridge in the distance and MacLeod's Tables. 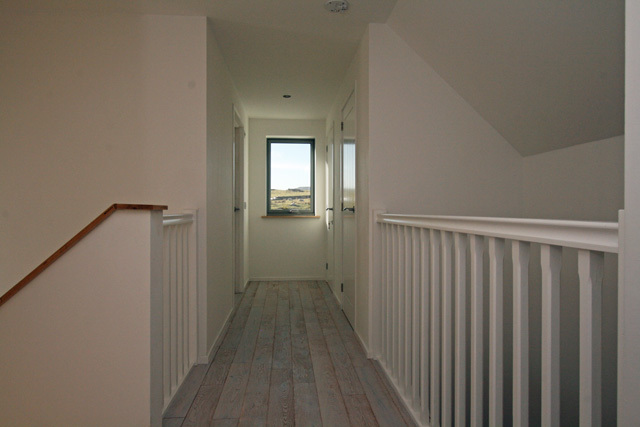 Upon entry you will find the hallway with an oak staircase leading off to the first floor. 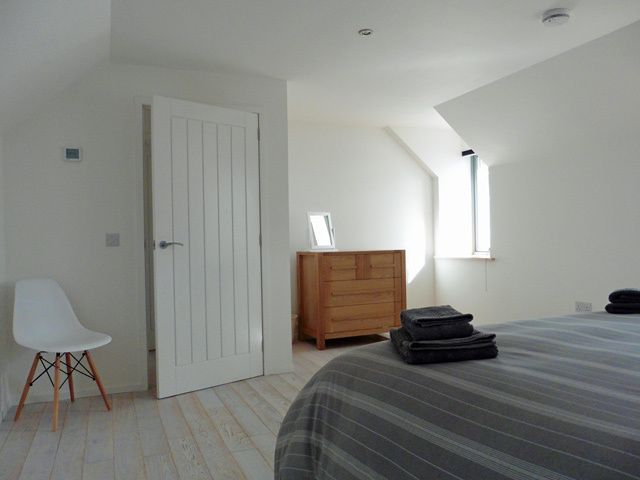 To your right is a cloakroom and spacious utility room, which houses the heating and ventilation system. Opposite the utility room is a recess with washing machine and tumble dryer. To your left is the main living area and dining room. 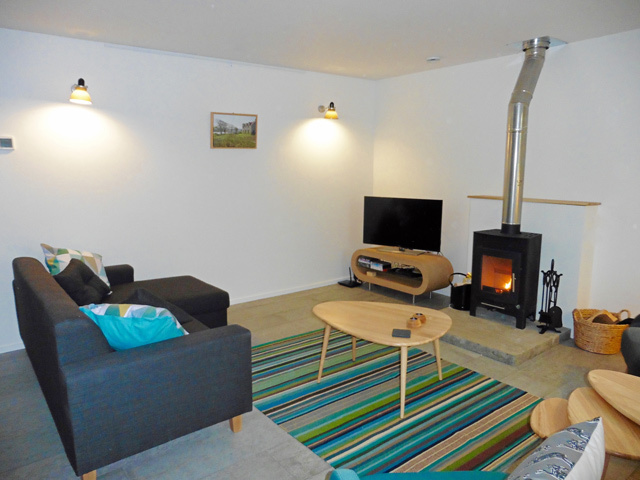 The living area is open plan and comprises of a spacious sitting area with a wood burning stove and a kitchen area with breakfast bar. 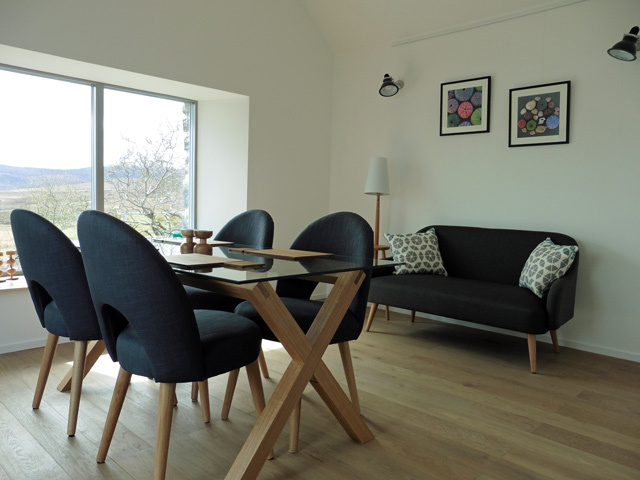 The living area is furnished with contemporary furniture, and offers direct access to the front of the property. 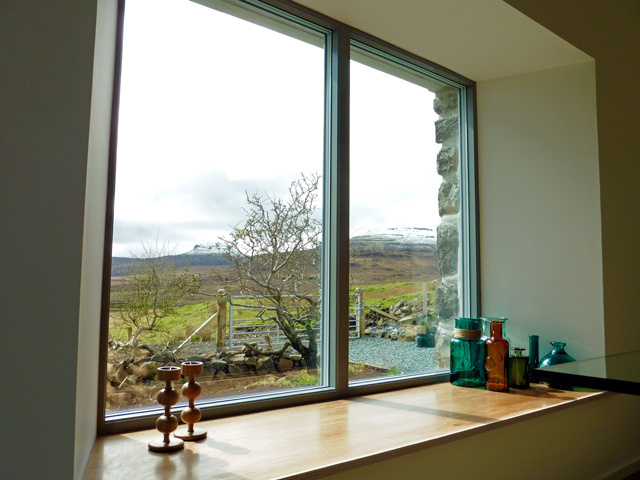 The dining area overlooks the fields of the former crofting community Garrachan, the Cuillin mountain ridge in the distance and the mighty MacLeod's Tables, two impressive flat topped hills that dominate the local landscape. Three big panorama windows will make this space also a great lounging area where you can relax and enjoy the impressive surroundings. 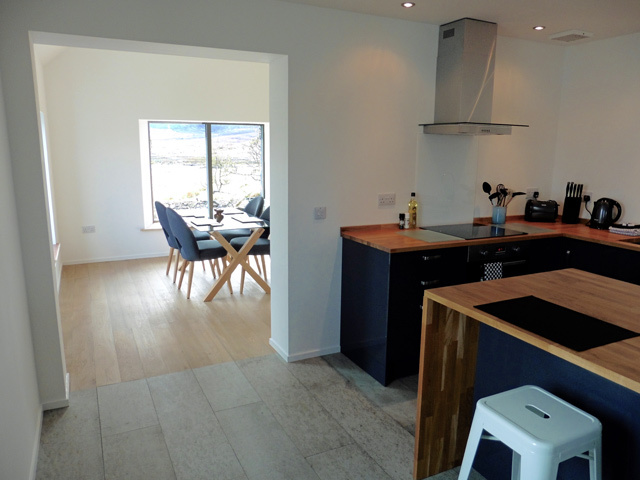 The floors in the living area, hallway, utility room and cloakroom are finished with polished concrete tiles which give a contemporary look. 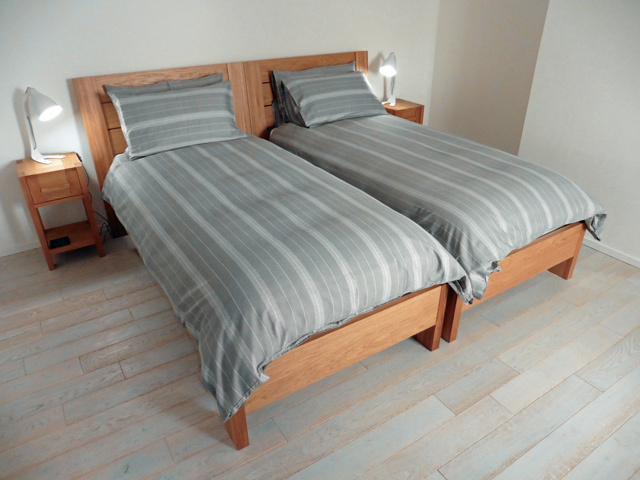 The sun room flooring is natural white oak. 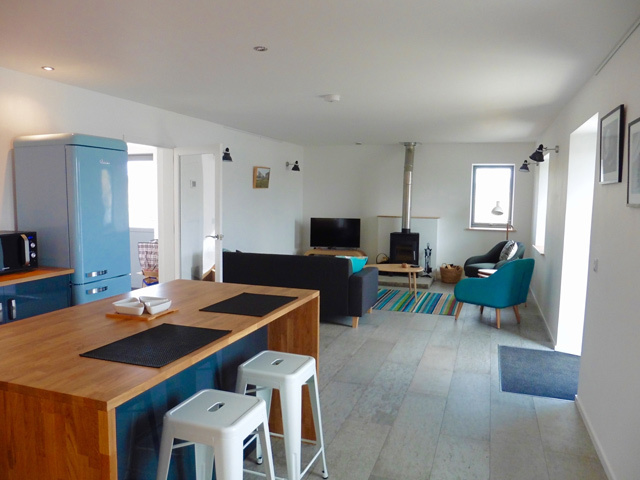 All of the downstairs area is heated by means of underfloor heating. 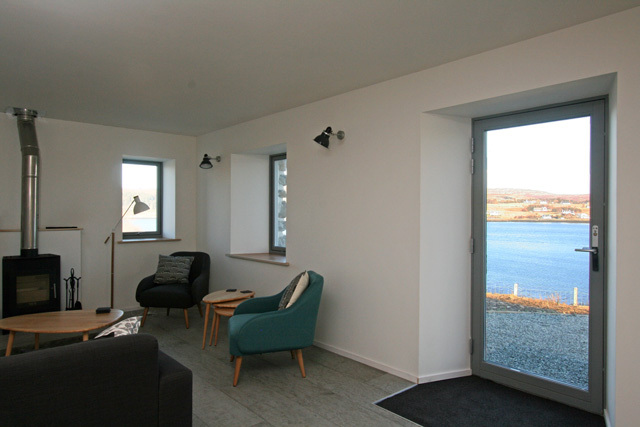 Upstairs you will find a mezzanine style landing which leads off to two very spacious bedrooms, the master with a king size bed and a twin, both enjoy views over the loch to Dunvegan. A shower room completes the facilities on this level. 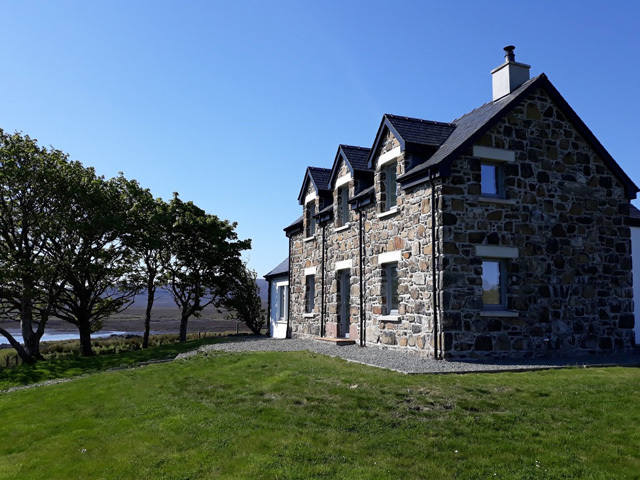 In the direct vicinity you will find various shops (Dunvegan, Glendale), restaurants (Three Chimneys, Old School Restaurant) and pubs (Dunvegan). The village of Dunvegan, the ancestral home of the clan MacLeod, is just opposite the property on the loch shore (5 minutes by car). There are great walks straight out of front door. 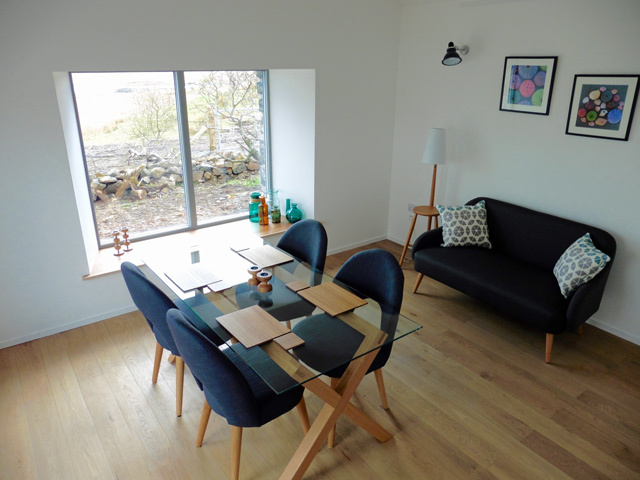 Open plan sitting room/kitchen/dining room, with direct access to the garden. 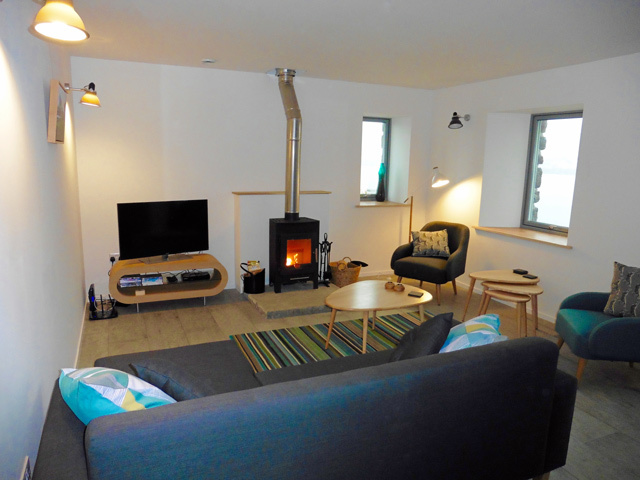 Sitting room, comfortable sofa and seating, wood burner, Freesat TV, DVD, selection of DVD's. 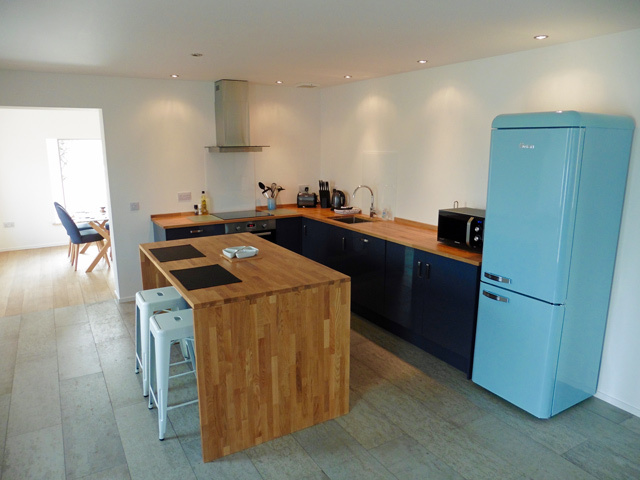 Kitchen, electric oven, electric hob, microwave, fridge/freezer, dishwasher, breakfast bar with seating for two. Dining room with table and seating for four. 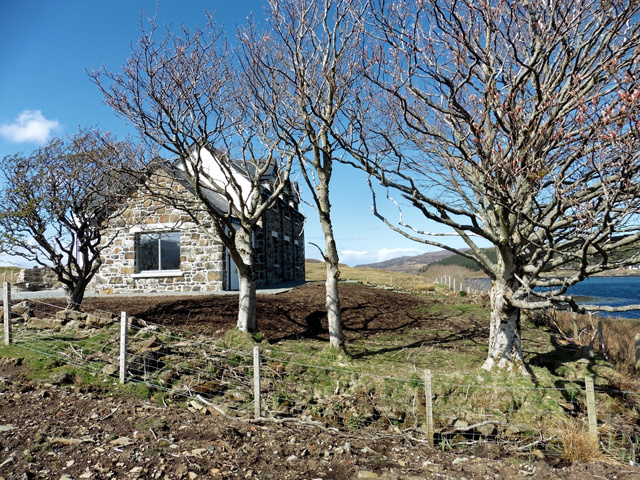 Master bedroom with super king bed, with views to the loch and Dunvegan. 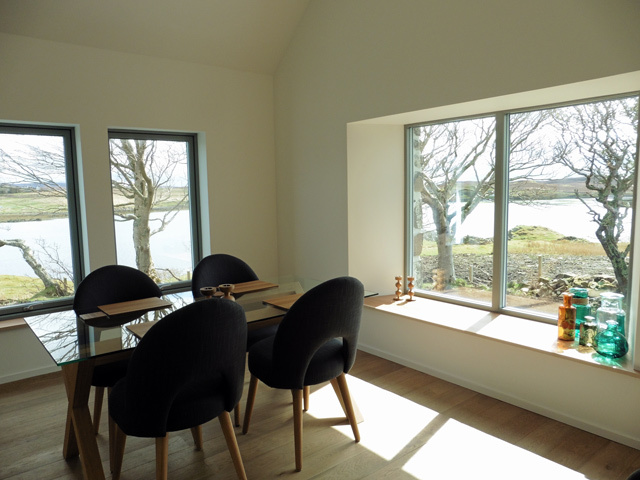 Twin bedroom with views to the loch and Dunvegan. Wifi internet access via satellite. Please note this is for basic 'keeping in touch' and is unsuitable for games/streaming, and excess downloads will be charged for. Fenced garden area with seating. 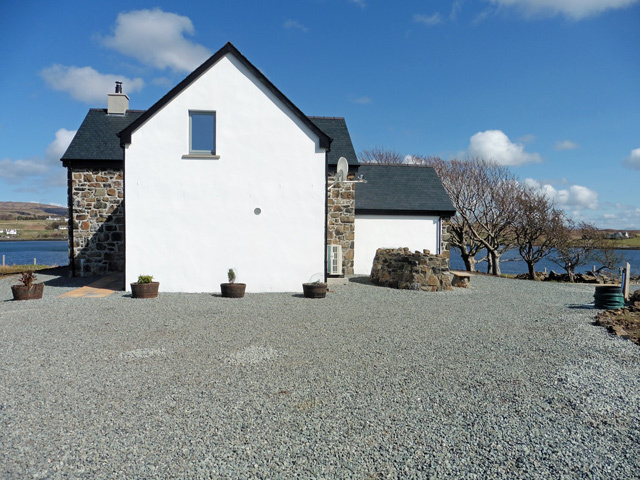 Mobile phone reception is available at the property as is full satellite Wifi access. 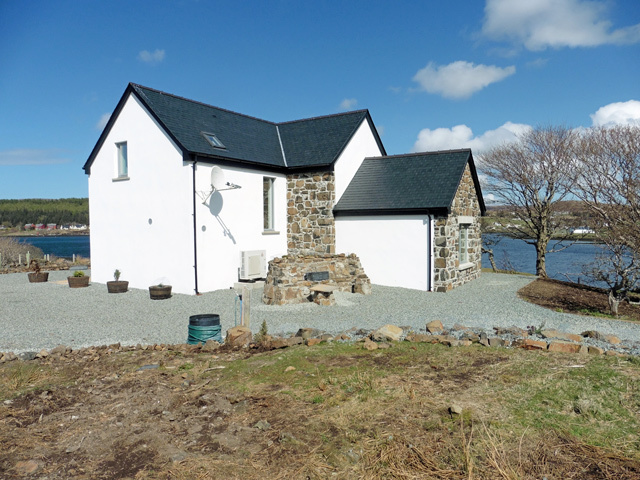 Peacefull location with the village amenities of Dunvegan two miles away. 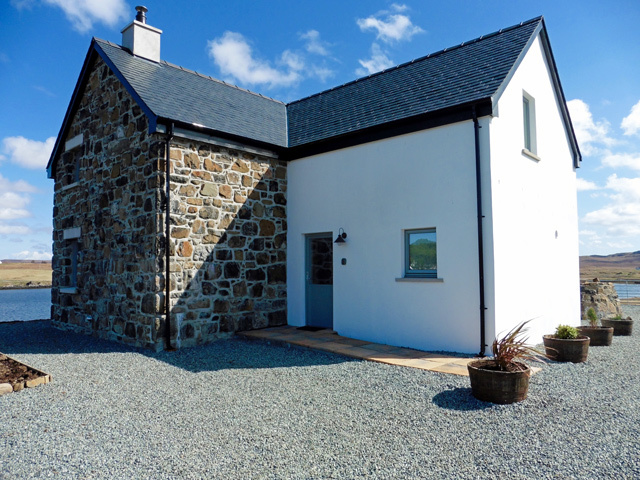 Beautiful and tastefully designed rebuild of an original cottage. A perfect base for exploring the north west part of the island. 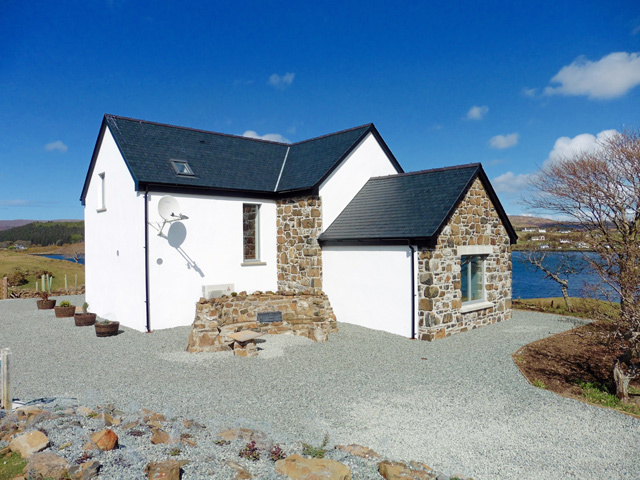 A beautiful house in a beautiful location!